A series of photos taken of an abandoned house in America. Nothing was seen when the photos were being taken. The grey image is an analysis done by a computer. 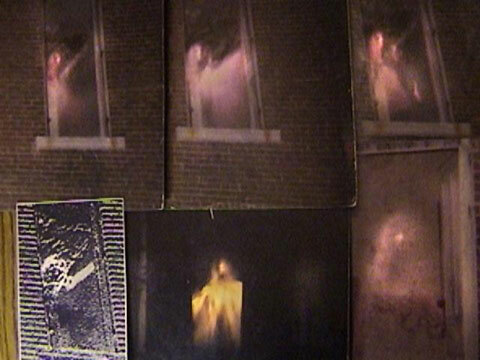 More information can be found in the video Ghosts caught on tape.